Fancy a break-neck ride down snow-clad slopes? The hearts of keen skiers will beat faster at the thought of extended runs and state-of-the-art lifts. Or is a hiking holiday more to your taste? Then grab your boots and off you go for mountain adventures. From easy rambles to extreme routes with fixed-rope trails, everyone will find something that takes their fancy! 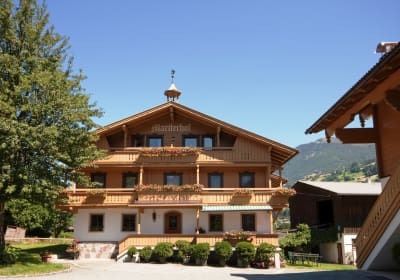 Sports enthusiasts will delight at their options everywhere in Tyrol, whether it’s skating, tobogganing, mountain biking or tossing the hay at the farm. Guaranteed fun for the whole family. 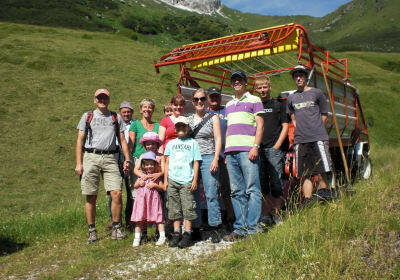 Tyrol caters extensively to anyone who prefers active holidays, whether skiers, hikers or mountain bikers. Our farm landlords promise a warm welcome and an authentic experience. An oasis of calm for those seeking rest. Find yourself. Escape everyday life for the majestic and enchanting mountain world. 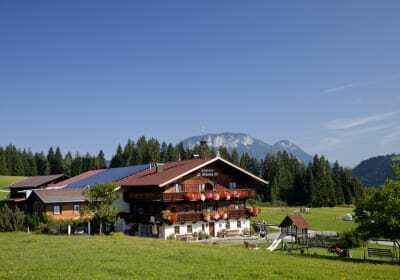 Find your perfect holiday farm in Tirol. Always the best advice with Urlaub am Bauernhof.